What comes to your mind when you put the world’s funniest man, Kevin Hart and the world’s fastest man in one sentence? Rivalry! 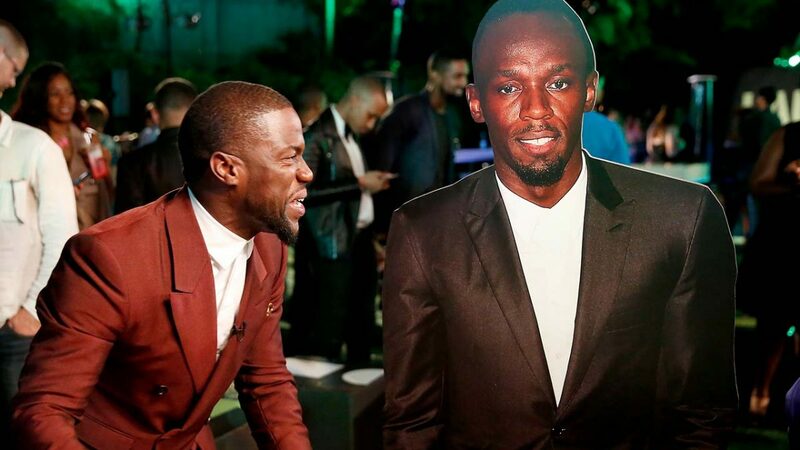 The two have gone head to head for quite some time as part of Stars Group’s #GameOn marketing campaign that began earlier this year with Hart and Bolt trying to outsmart each other in a series of social media video posts. The superstars have faced-off fiercely in an exciting battle of wits with their social media channels acting as scoreboards and their fans being the judges of every battle. The ultimate culmination of this high-profile rivalry is expected to be at the PokerStars Championship Bahamas slated for January 2018. Hundreds of poker enthusiasts are expected to attend the PokerStars Carribean Adventure which is hosted at the Atlantis Paradise Resort and features buy-in from as low as $160 all the way to $100,000 for Super High Rollers. In a recent #GameOn Twitter post, Daniel Negreanu, the current global live poker tournament champion, refs Kevin Hart and Usain Bolt as they compete against each other to determine which of them can keep their cool and for how long while sitting in an ice bath. Rather than being just fun, these #GameOn challenges have been designed to test important poker player qualities and poker skills such as bluffing, emotional control and reading opponents’ emotions. Bolt emerges victorious in the ice bath challenge and he had some advice for Kevin Hart, “Kevin may be the funniest, but jokes are not going to get him anywhere against me at the poker table. I know how to keep my cool under pressure and that’s what it takes to win, my friend.” This was a response to Kevin Hart’s sentiments after ‘folding’ and losing the #GameOn ice bath challenge. For the last couple of years, Stars Group’s PokerStars has intensified its campaigns to attract more casual players with the help of a good number of high of profile celebrities and sports legends. So far, they have achieved quite a lot of success by consistently offering ‘recreational’ style poker options as well as recruiting sports legends like Dwayne Wade, Ronaldo and Neymar Jr to the campaign. The latest addition to Stars Group’s ensemble of high profile ambassadors is former Tottenham midfielder Gus Poyet who has been brought in to help in marketing BetStars, Stars Group’s online betting service and sports betting brand. Poyet has predicted that Tottenham will finish above Arsenal in the Premier League though he expects the two clubs to draw when they play against each other at the Emirates Stadium.